Winamp, once one of the most popular media players on the market, will be officially discontinued on December 20, 2013, due to yet to be disclosed reasons. 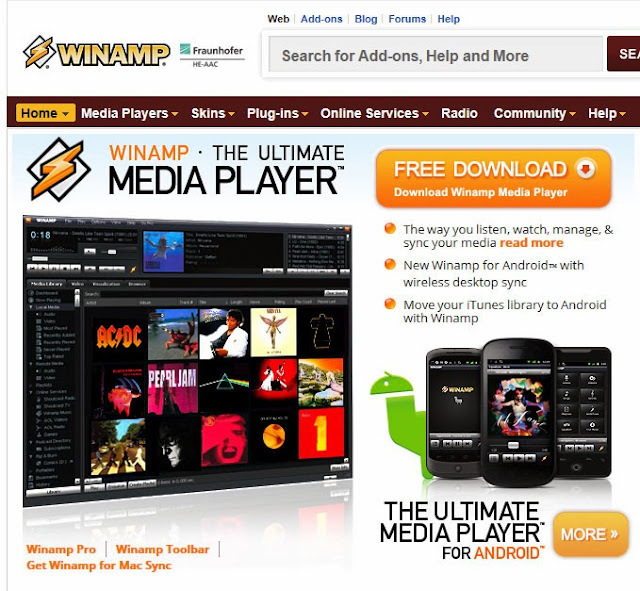 AOL announced the decision in a brief statement on the official Winamp.com website, saying that the webpage and the downloadable media player will be removed on December 20. “Winamp.com and associated web services will no longer be available past December 20, 2013. Additionally, Winamp Media players will no longer be available for download. Please download the latest version before that date. See release notes for latest improvements to this last release. Thanks for supporting the Winamp community for over 15 years,” the notification reads. While nobody can tell for sure what the reason behind this surprising decision actually is, it appears that it’s all because the bad management that took over app development after the AOL acquisition. Winamp, which was developed by Justin Frankel and Dmitry Boldyrev for Nullsoft, was purchased by AOL in June 1999 for no less than $80 million (€59.4 million) in stock. In June 2000, Winamp reached a record 25 million registered users, but started a dramatic decline soon after that. Even though development of new versions continued, and both Winamp 3 and Windows 5 reached the market in the next years, some users decided to stick to the original WInamp 2.95 version thanks to the impressive audio quality and its reduced footprint on system resources. In the last few years, Winamp launched several new versions, including a Mac port and an Android version that’s experiencing quite a terrific success among smartphone owners. Unfortunately, the desktop business continued its drop as more users turned to other media players such as foobar2000 and Clementine. Making Winamp open-source and allowing the dev community to continue improving it would indeed be a great idea, but we really doubt that AOL would come down to such a decision.